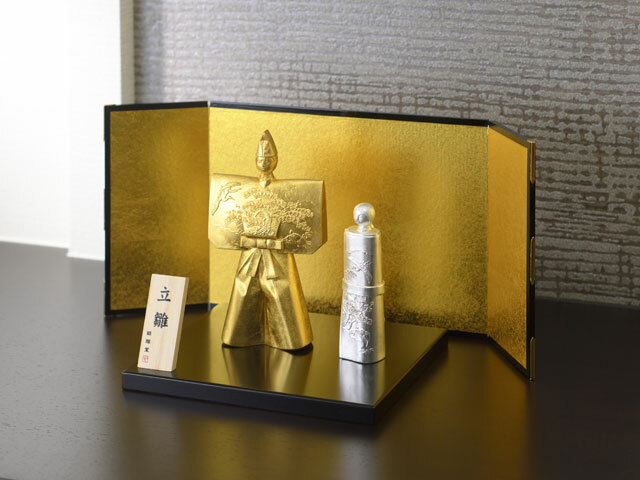 Metallic Home Décors - Ginga-do | NAGAE Ltd.
Based on the high level of craftsmanship that has been passed down successfully for 400 years in our city, Ginga-do’s collection offers home accessories, which are a marriage of Japanese tradition and modern lifestyle. 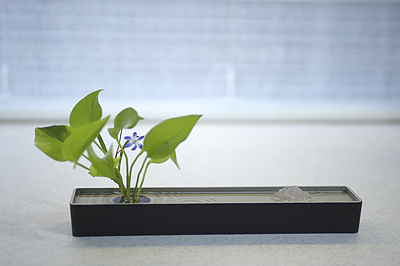 Enjoy your own private Zen garden! 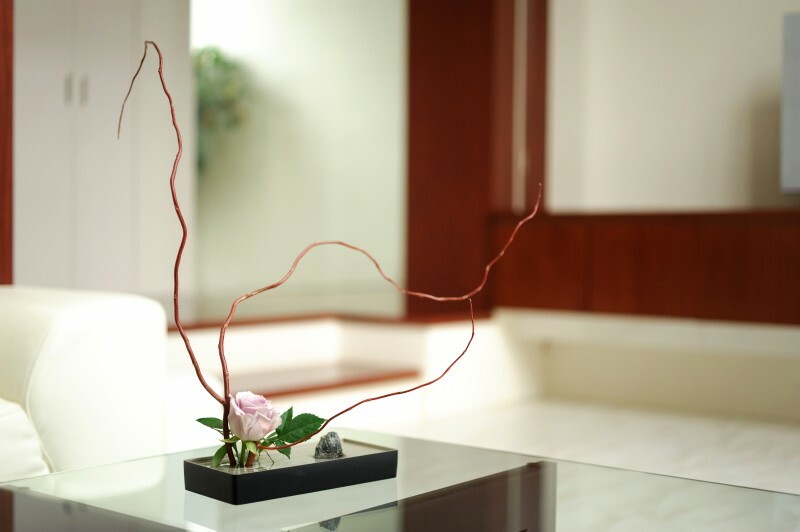 With this vase, flower arrangement is quite simple. Mount Fuji is probably the most well-known Japanese mountain. It is the highest (3,776 metres) in Japan and worshiped as one of Japan’s "Three holy mountains" along with Mount Tate (in Toyama) and Mount Haku (in Ishikawa). It was also added to the World Heritage List as a cultural site in 2013. Admired by Japanese people, the mountain has been chosen as the subject of the paintings by many artists. One of the most famous artists would be Katsushika Hokusai (1760-1849). His ukiyo-e series "Thirty-six Views of Mount Fuji", created during the 1820s, shows 36 different views of Mt Fuji and got great popularity both in Japan and abroad. One of the most famous ones would be Mt Fuji reflecting on the lake. The inverted image of Mount Fuji is called "Sakasa Fuji". 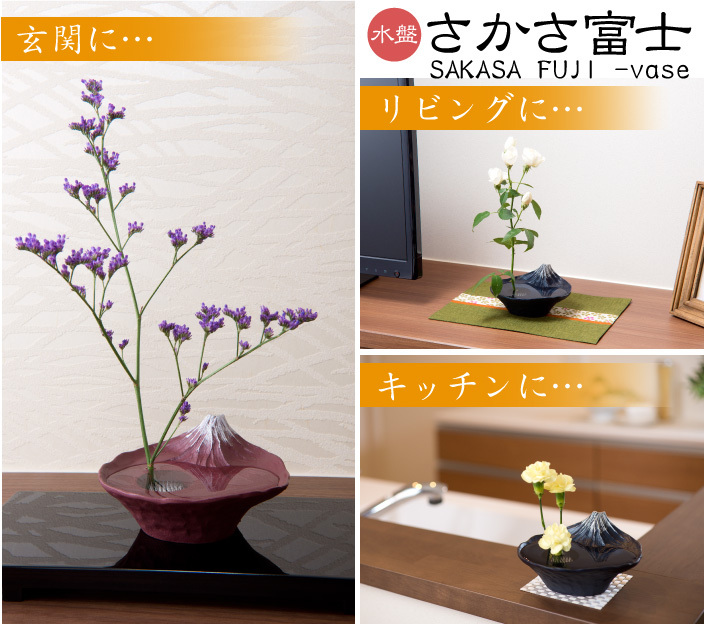 The image of "Sakasa Fuji" has been loved for a long time. You often find the motif in Japan. For example, if you have a 5,000 yen or 1,000 yen note, Japanese banknote, please check the surface. It is so popular but rare to see that you are lucky if you can see the "Sakasa Fuji" view. 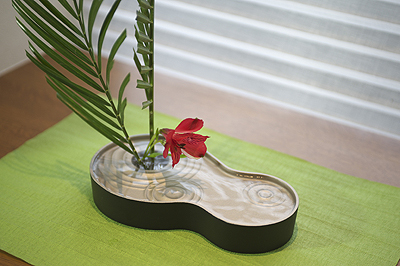 Our latest product of "Mt Fuji – vase" creates the miniature idealized landscape. 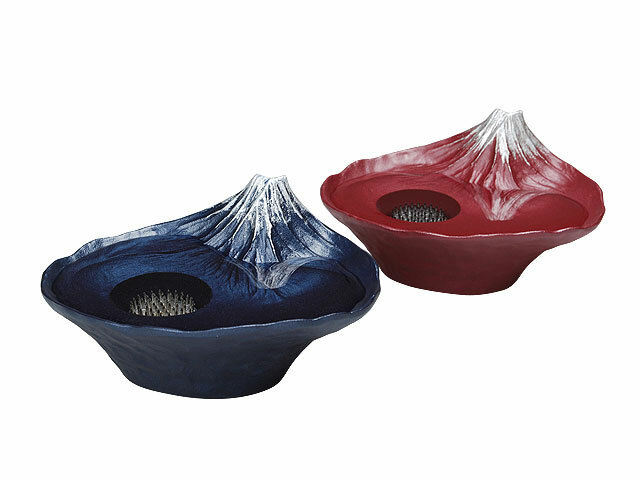 When you pour water on this vase, you can easily enjoy lucky‘sakasa Fuji’ view anytime at your home. Mount Fuji is probably the most well-known Japanese mountain.Admired by Japanese people, the mountain has been chosen as the subject of the paintings by many artists. One of the most famous image would be Mt Fuji reflecting on the lake. The inverted image of Mount Fuji is called "Sakasa Fuji". It is so popular but rare to see that you are lucky if you can see the "Sakasa Fuji" view. 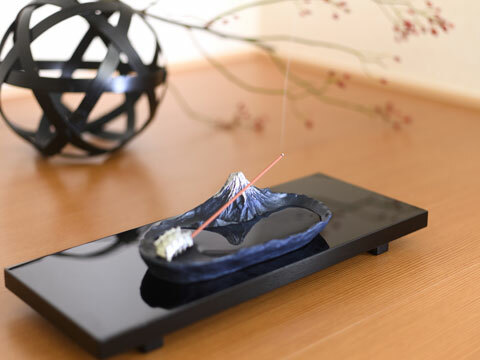 With our incense holder – Mt Fuji, you create and enjoy the miniature sized "Sakasa Fuji" view. 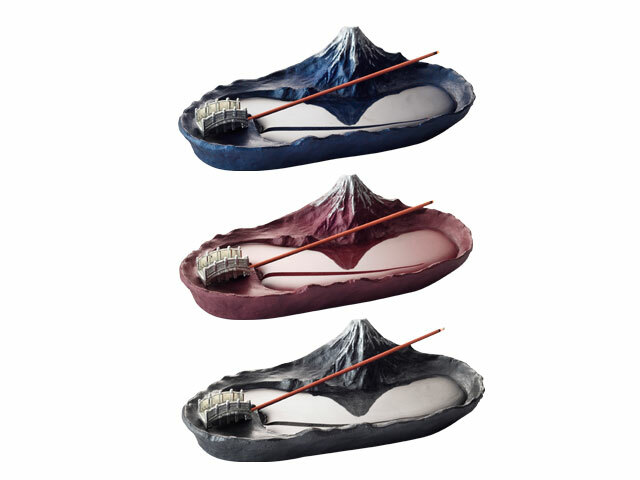 When you pour water on this incense holder, you can easily enjoy lucky "sakasa Fuji" view anytime at your home. Drink Up and Get Good Luck! 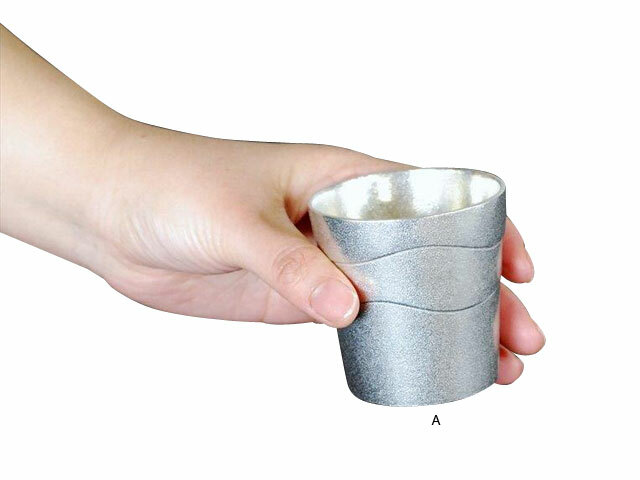 This unique shaped tin drinkware is dedicated to the traditional sand casting technique which has been handed onto craftspeople in Takaoka for 400 years. 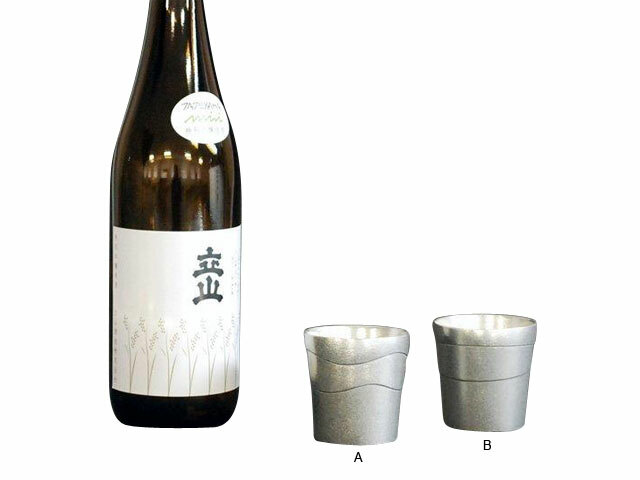 The collection will enchant you with creamy foam on your beer or round Japanese wine. Mount Fuji is probably the most well-known Japanese mountain. Admired by Japanese people, the mountain has been chosen as the subject of the paintings by many artists. One of the most famous images would be Mt Fuji reflecting on the lake. The image of Mt Fuji mirrored in the water is called "Sakasa Fuji (the inverted image of Mt Fuji)". It is so popular but rare to see that you are lucky if you can see the "Sakasa Fuji" view. 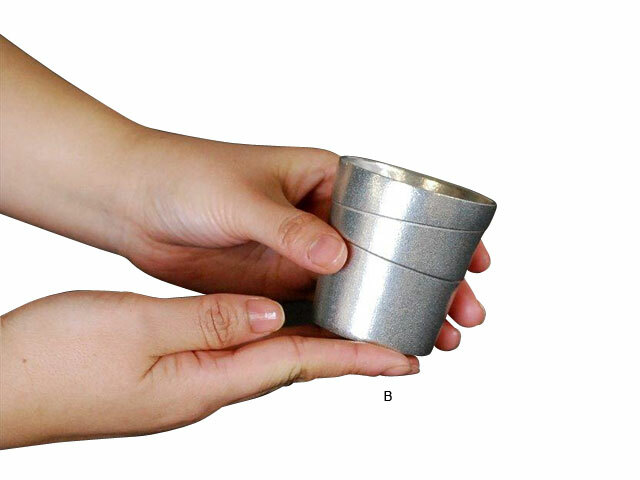 With our tin tumbler – Mt Fuji, you create and enjoy the miniature sized "Sakasa Fuji" view. 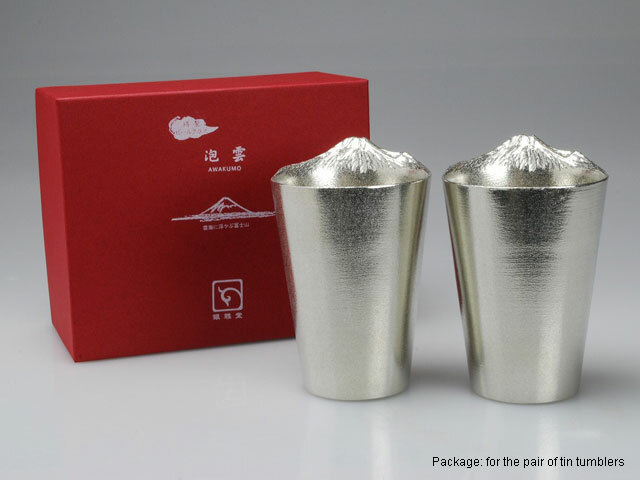 This Mt Fuji sake cup will bring you good luck. 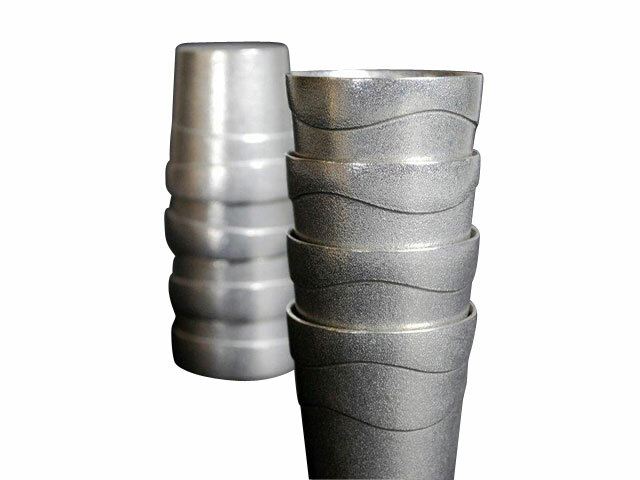 This tumbler, made of durable pure tin, will be with you for a long time. Stackable for maximizing storage and shelf space. 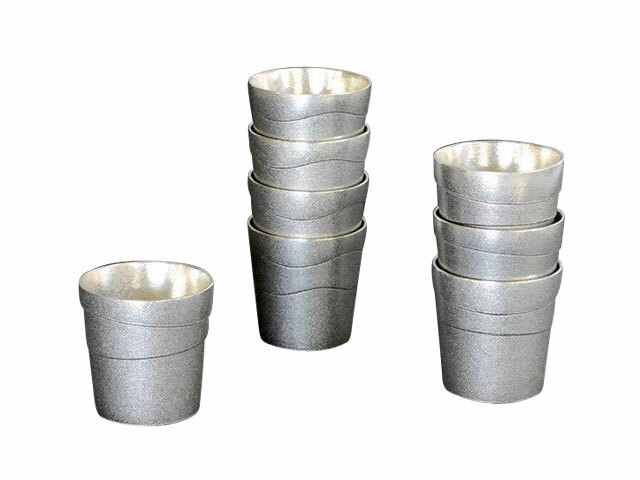 Tin-made tableware has been used since ancient times in China and Japan. 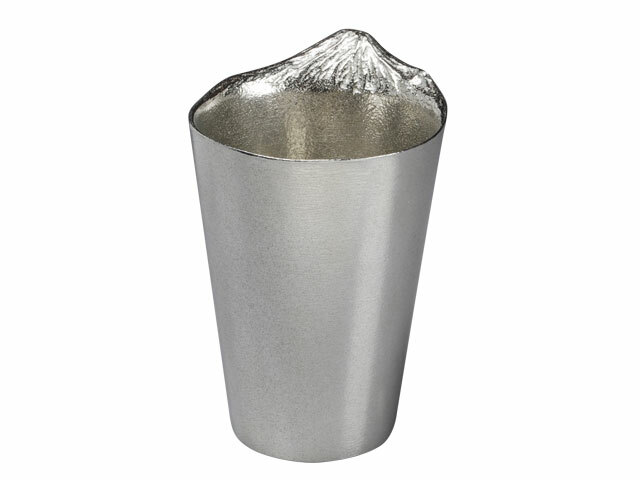 Tin is an expensive metal next to gold and silver. 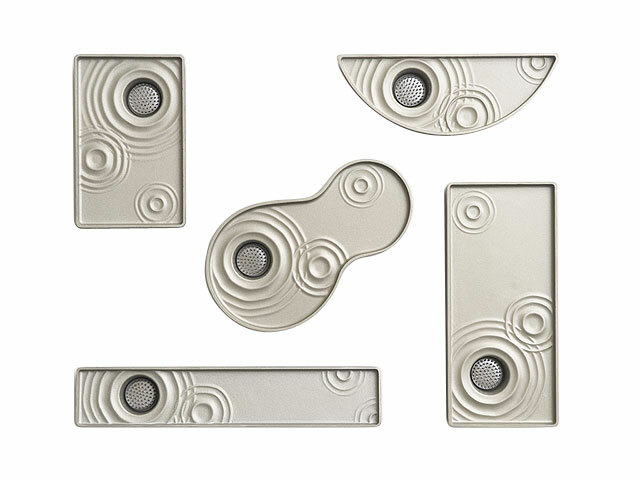 You might have been familiar with Pewter products. 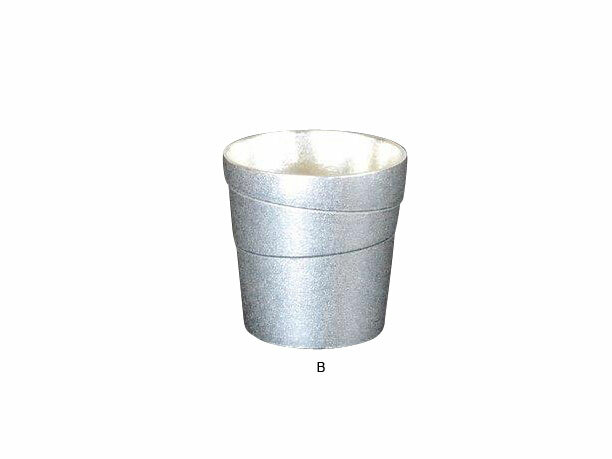 Pewter is a metal alloy that consists tin with other materials such as copper and antimony. 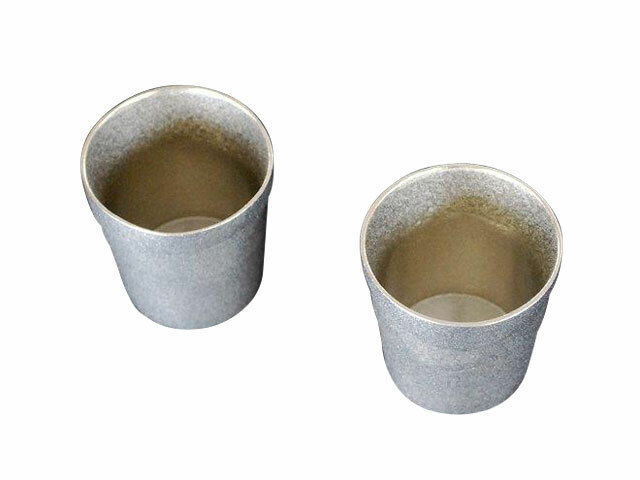 Our tin tumblers are made of pure tin, so they don’t rust. They make the taste of liquor mellow. 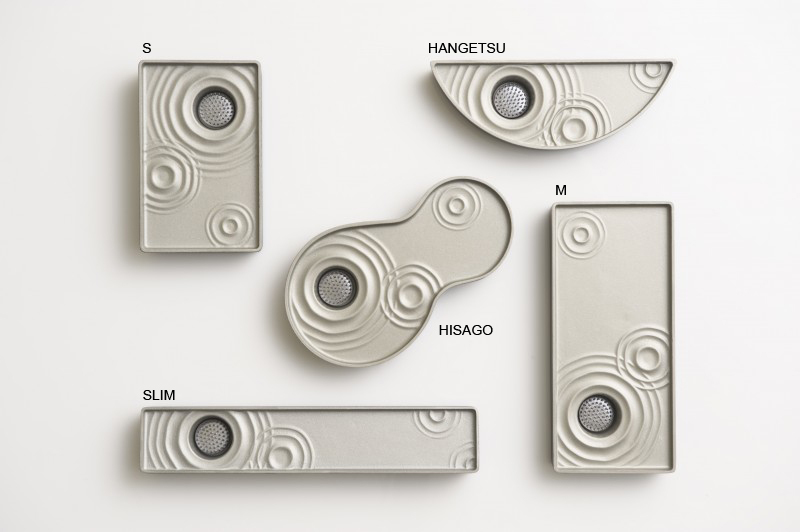 The pattern is inspired by the Dragon vein that is a path of concentrated Earth energy in Feng Shui. 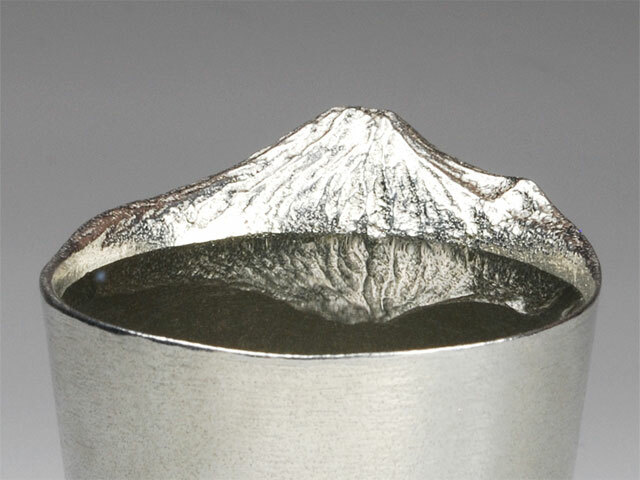 The tin beer tumbler – Awakumo is inspired by Mt Fuji floating in the sea of clouds. A sea of clouds is an awe-inspiring example of natural scenery. 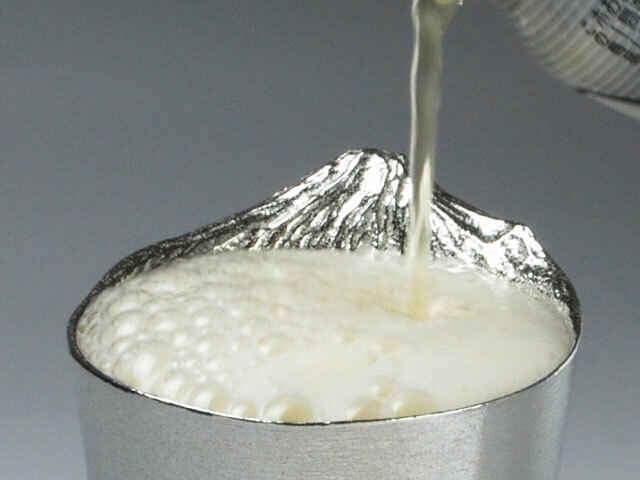 Pouring beer in our tin tumbler, you can create day-dreaming view easily. Mt fuji is a great lucky symbol in Japan. 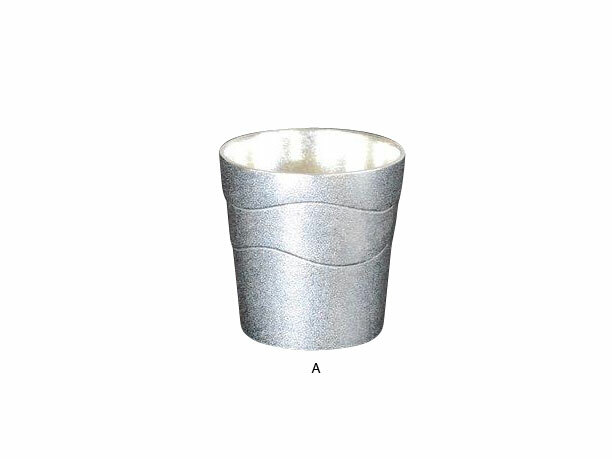 You can drink luck with our tin beer tumbler – Awakumo. 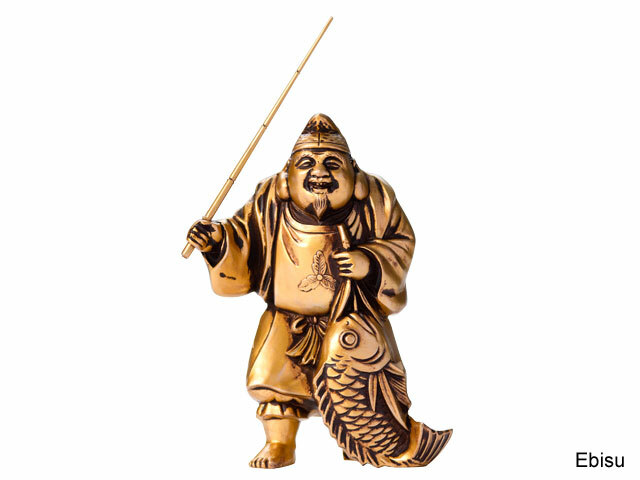 The Seven Lucky Gods or Seven Gods of Fortune are believed to bring good luck. 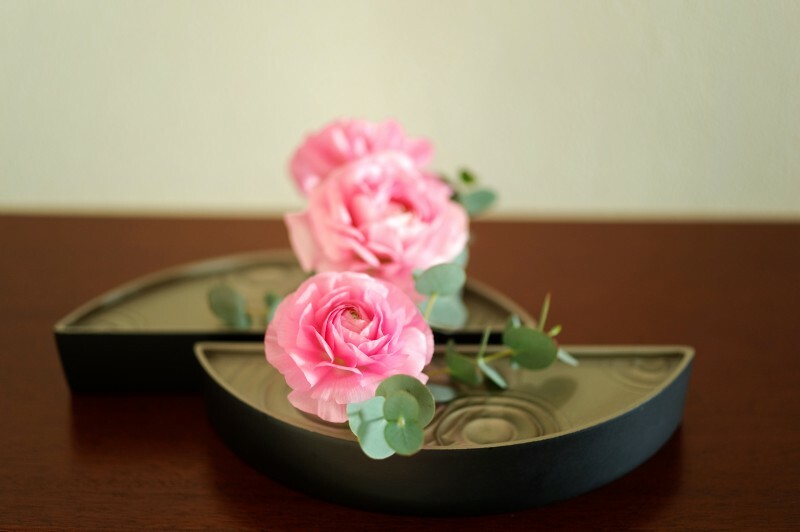 They are often decorated at home in Japan. 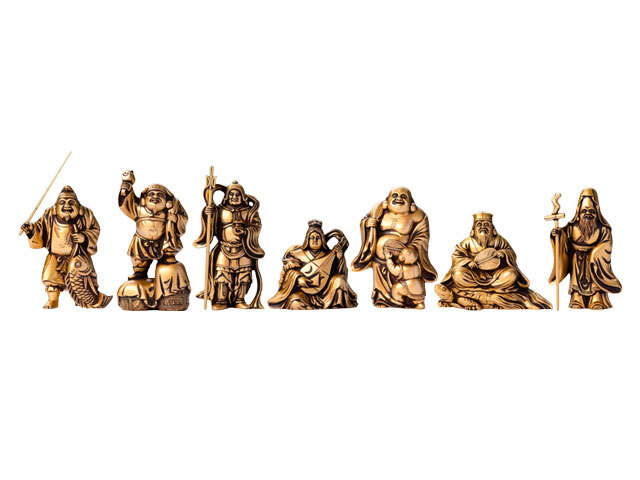 This "Seven Lucky Gods" is a collection of traditional ornaments whose lucky motifs have been loved and displayed for a long time. The moulds for the ornament set have been buried in the back of our warehouse. 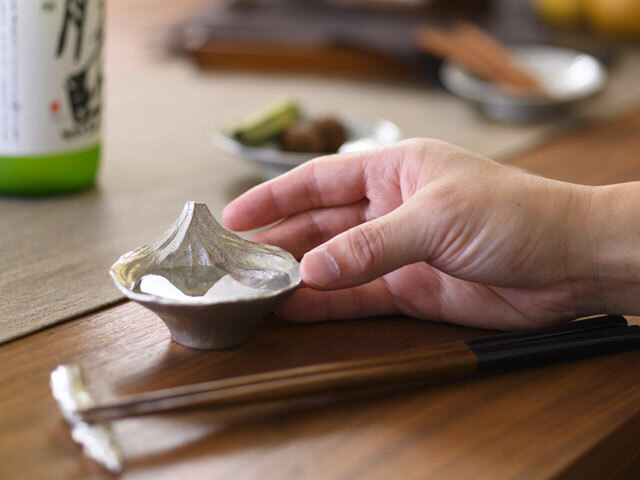 Having been kept in a corner for ages, they are the crystal of casting techniques which has been handed onto craftspeople in our city, Takaoka, for 400 years. 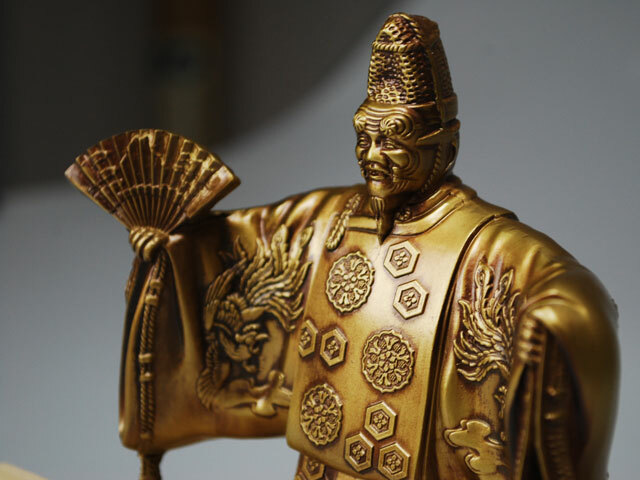 To give new life to them, we apply soft golden colour to the gods. We call this colour "Silky Gold" inspired by the Silk Road. 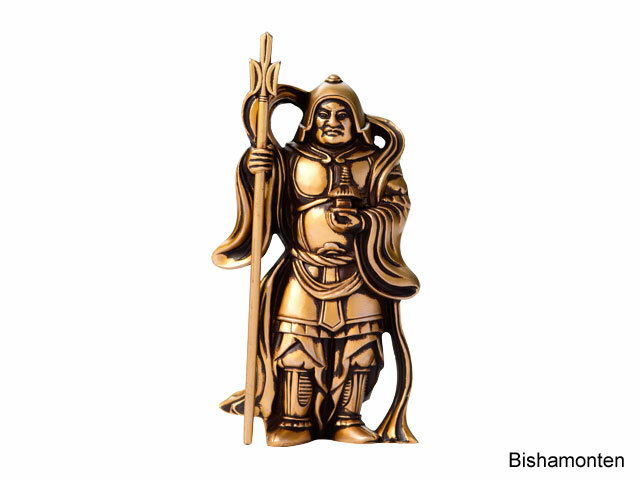 Many things including culture and religion had made their way to Japan on Silk Road trade routes for thousands of years. These gods are no exception. It is known that they are originally from Nepal, India or China. 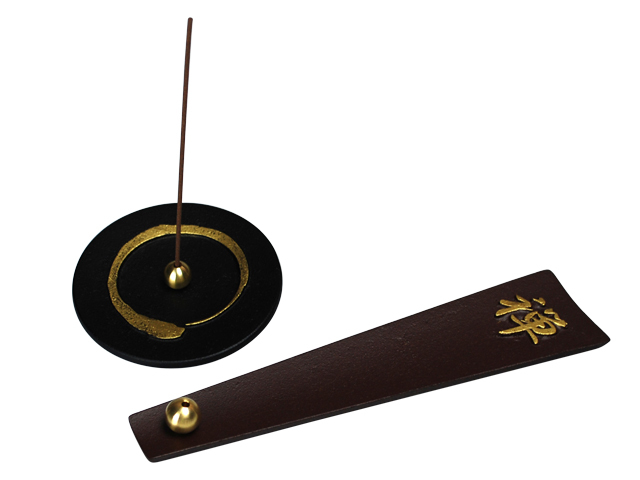 Zen series- Incense holder is inspired by Zen Philosophy. In Zen, meditation is called Zazen. 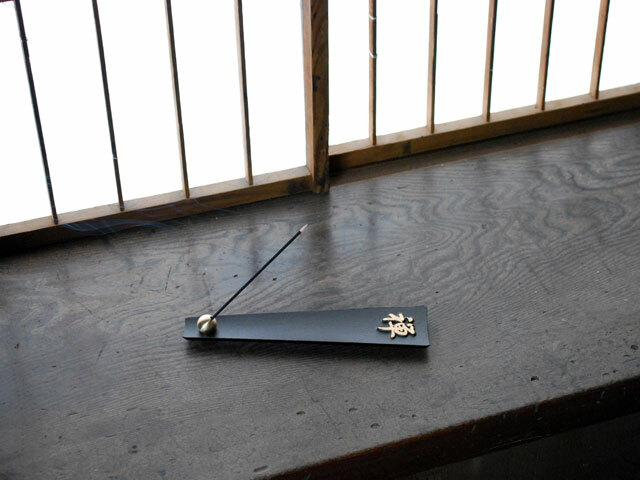 A monk used to burn an incense to calculate the zazen time. 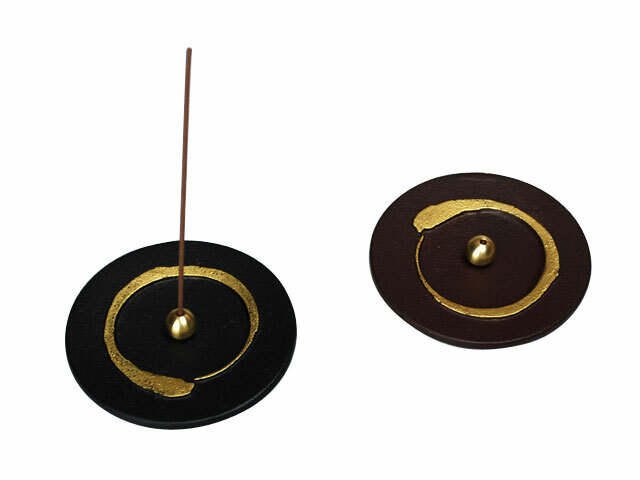 Our incense holders has two shapes; one is "enso" and the other is "kyosaku". "Enso" is called zen circle of enlightenment. 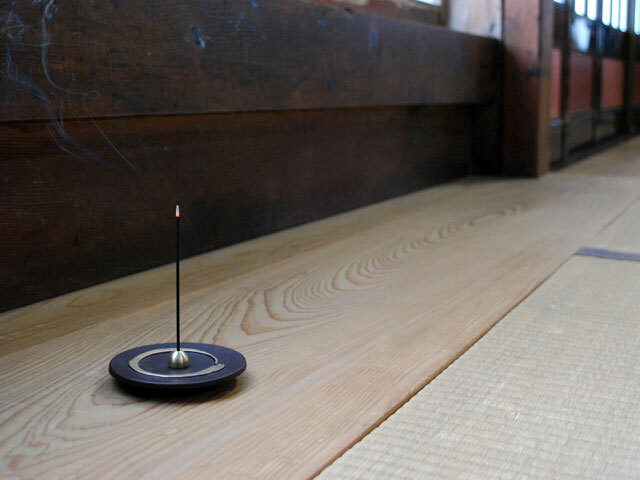 The Zen circle exemplifies pure emptiness or the freedom that meditation practice opens in us. 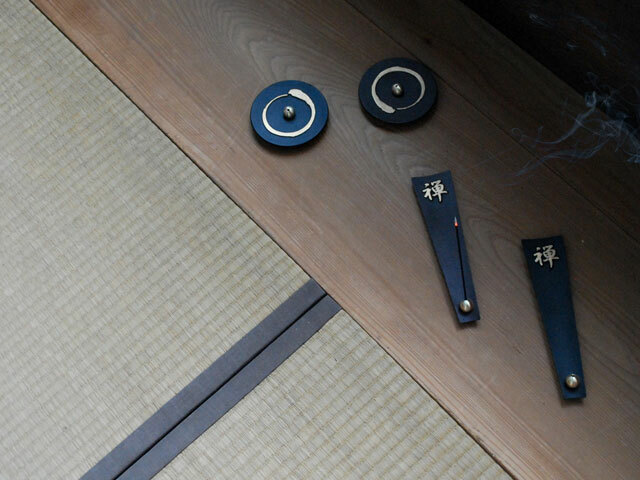 "Kyosaku" is a flat wooden stick. 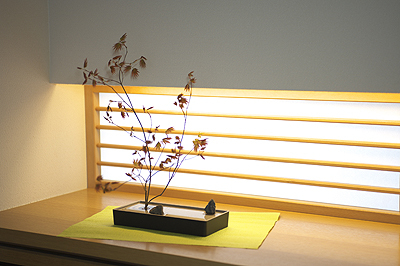 During zazen, when feeling sleepy of lack of concentration, the practitioner can ask to receive the kyosaku. The Master then strikes the shoulders, which brings a feeling of relaxation and helps to carry on with the meditation in good conditions. It is in no way a brutal gesture or a punishment. 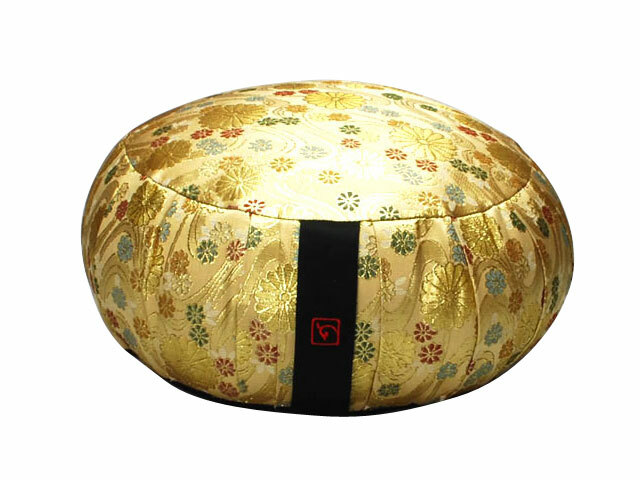 A zafu is the meditation cushion which is customarily used in the Japanese Zen Buddhists. As you might know, sitting meditation is quite rigorous. When you sit still and tune into your body for any length of time, you sometimes experience physical difficulties. 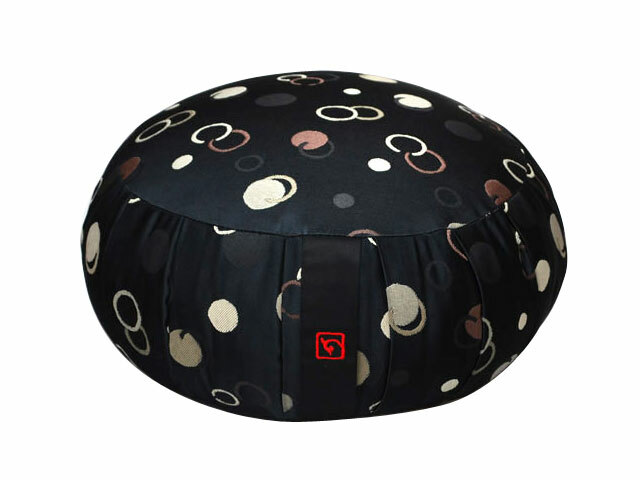 Japanese monks, therefore, use round meditation cushions called “zafu” to support for their bodies and their practice. 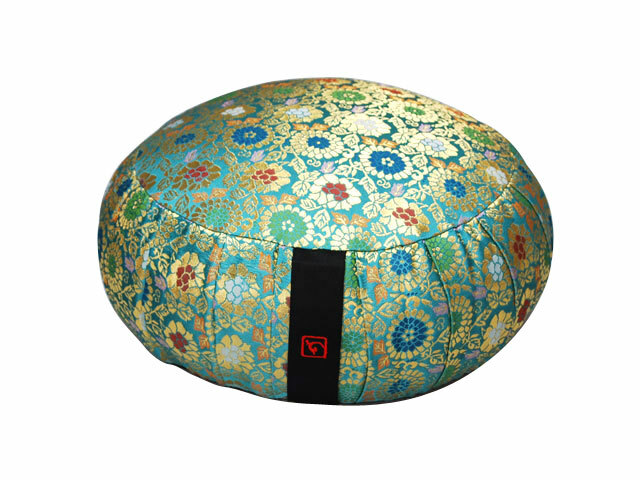 NAGAE makes meditation cushions, conforming to the traditional techniques but adding colourful and stylish brocade cover. They are much more colourful than usual black meditation cushions, but we make them in a traditional way. These cushions are made and stuffed individually by hand. 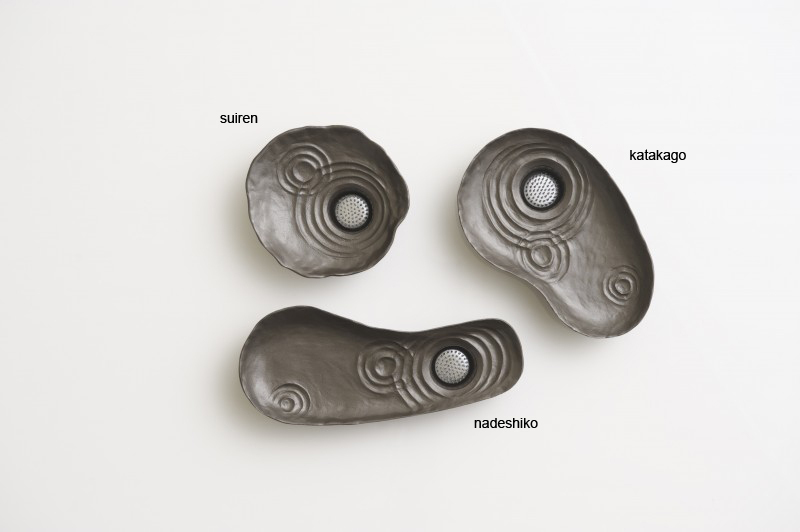 They are filled with Kapok or buckwheat, which has been the traditional fill for Zafu meditation cushions for thousands of years. When you sit on the cushion, you feel it is solid. It helps you sit for long periods comfortably. 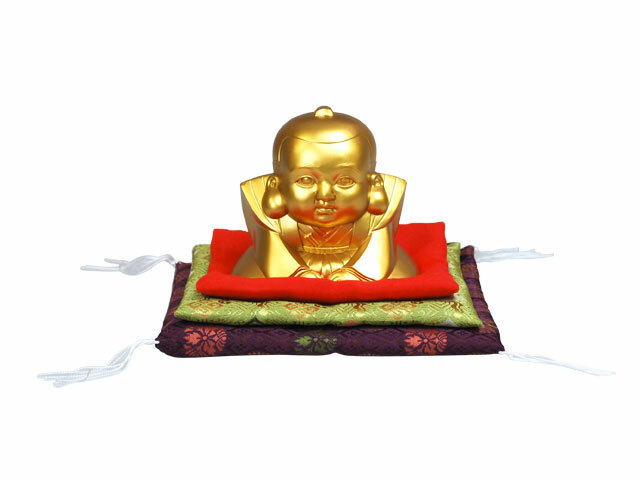 Our meditation cushion ensures a successful meditation session. If cross-legged sitting doesn’t work for you, turn your cushion on its side. Place it between your thighs and sit on it with your knees bent, shins on the floor on either side of the cushion. This zafu has an integral carrying handle and is easily portable. 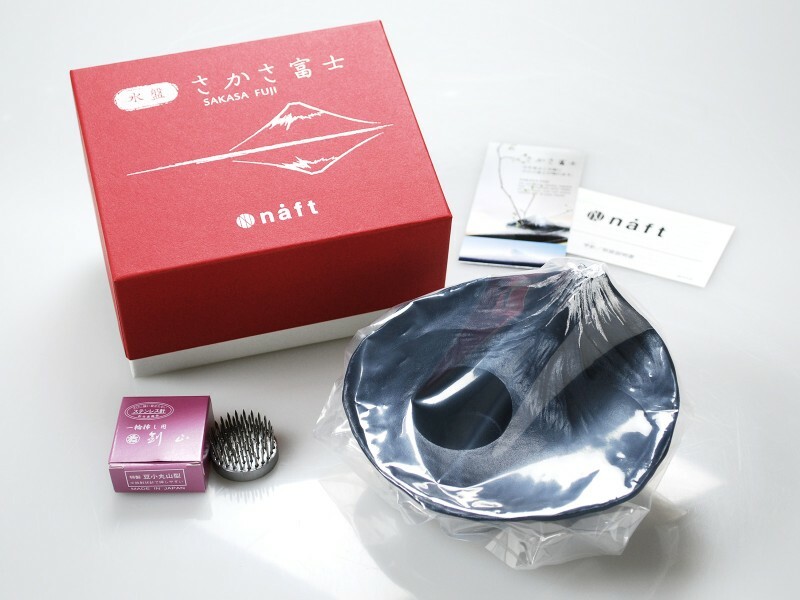 It also comes with tips of meditation written in Japanese, Chinese, and English. NB: Image colour may differ slightly depending on the browser you are using. 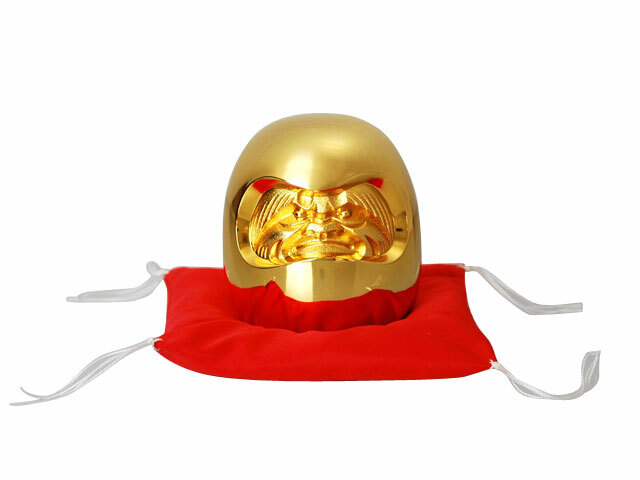 The Daruma doll has been a symbol of good luck for many years in Japan. 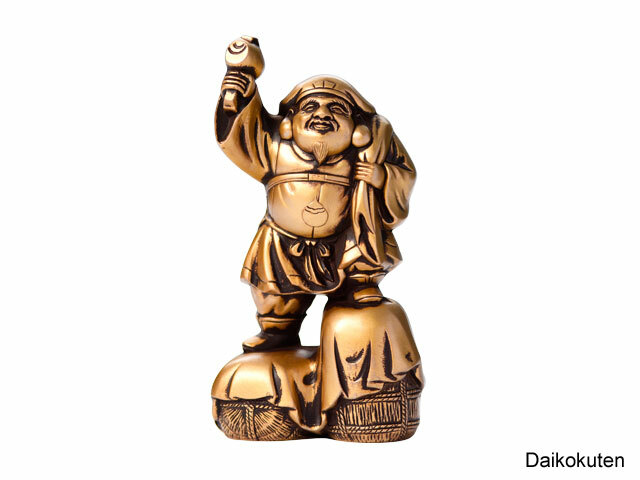 Daruma was a renowned priest who lived about 1500 years ago in China. He founded the Zen sect of Buddhism there. Legend claims that he sat facing a wall in meditation for a period of nine years without moving, which caused his legs and arms to waste away. 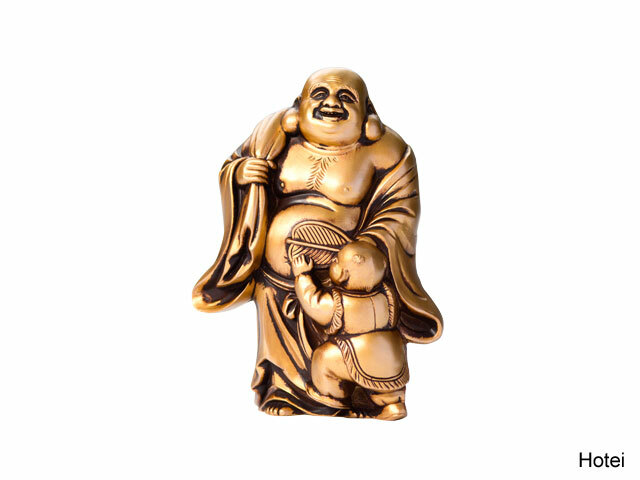 Based on the legend, the daruma is a symbol of the greatest patience and perseverance that are the foundation to build a successful life. 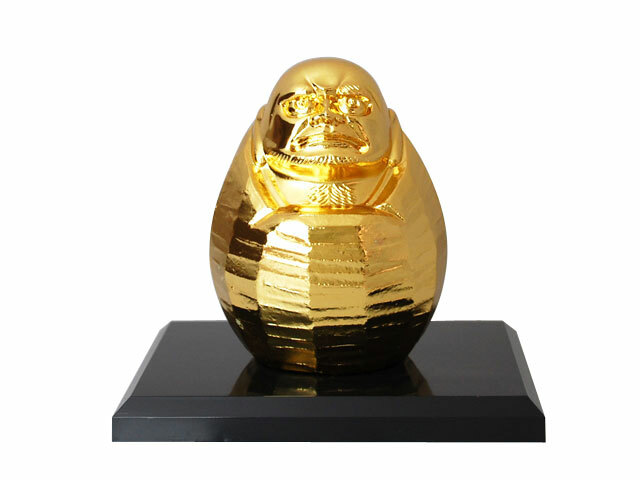 Daruma is a traditional Japanese wishing doll or often called a "goal doll". 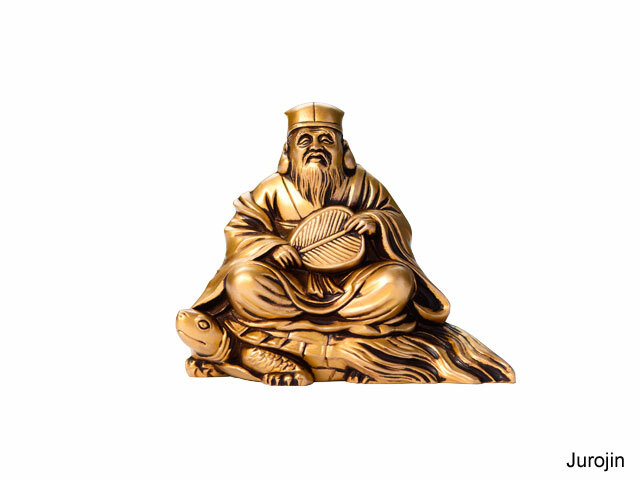 It is based on a sage monk who lived in the 5th-6th century in China. He is the father of Zen Buddhism. Legend claims that he sat facing a wall in meditation for a period of nine years without moving, which caused his legs and arms to waste away. The doll is closely associated with a Japanese proverb, "nana korobi yaoki (Fall down seven times, get up eight)". It is similar to the English expression , “If you fall off your horse get right back on”. 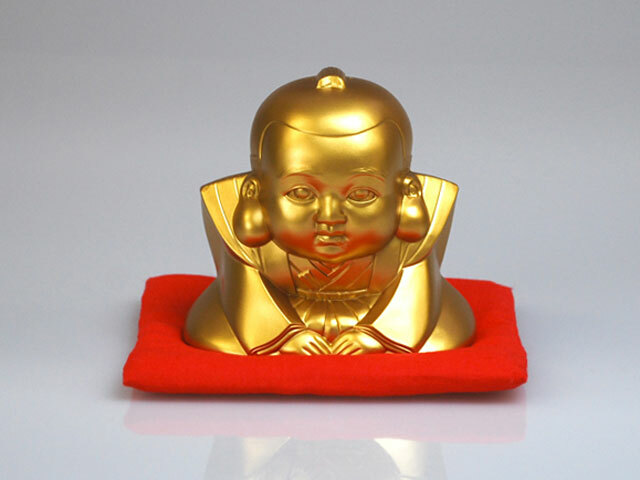 The Daruma doll, with its unique shape and solid base that allows it to right itself when toppled, is the embodiment of such persistence to fulfil our goals in life. Hina dolls are a pair of male and female dolls. They are displayed at Hina festival that celebrates the happiness and development of young girls on 3rd March in Japan. The festival traces its origin back to the 8th century. People made straw standing dolls and set them floating down the river. 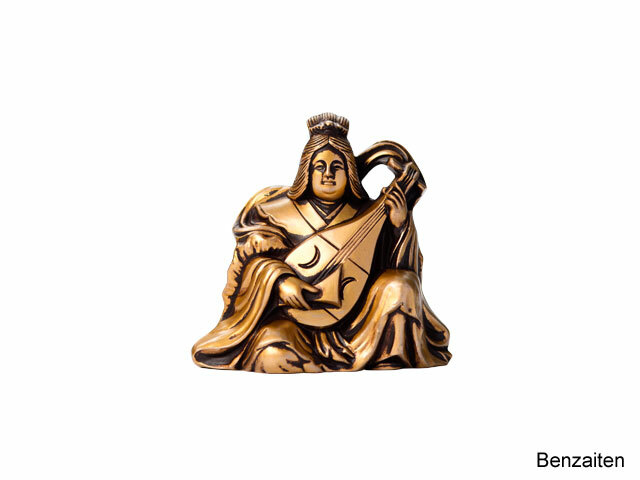 They believed that this custom would take all troubles or bad spirits away from their girls. 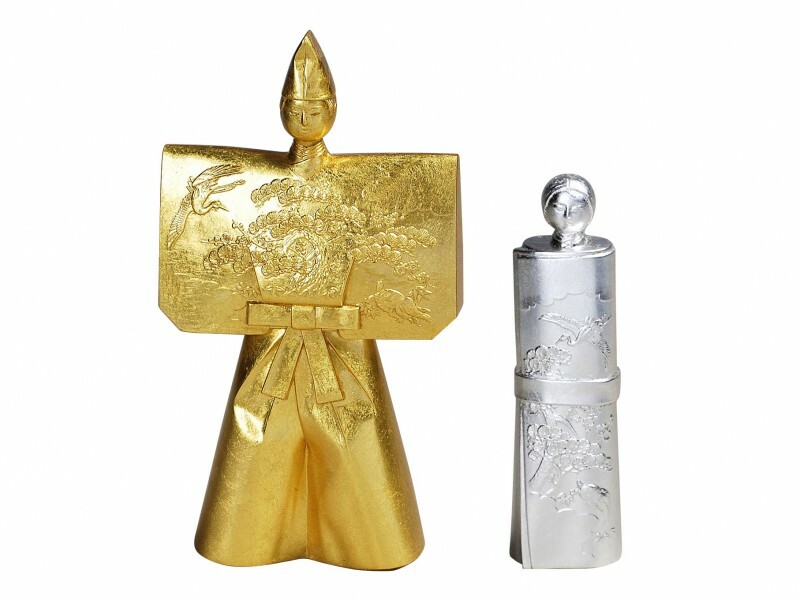 Our standing hina doll set is manufactured by the advanced casting technique that has 400-year history in our city, Takaoka-shi. To pray for happiness of girls, the dolls wear kimono having full of Japanese lucky charms; such as pine, bamboo, and plum. Matte gold and silver finishing create gorgeous atmosphere. Simple and traditional standing dolls add minimal beauty in your room. 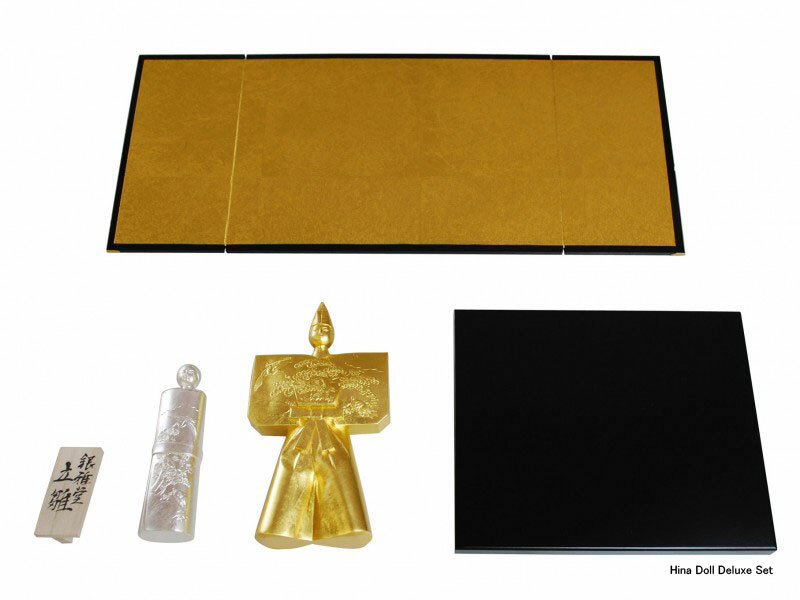 A pair of gold male and silver female dolls comes with a black display board and gold folding screen. 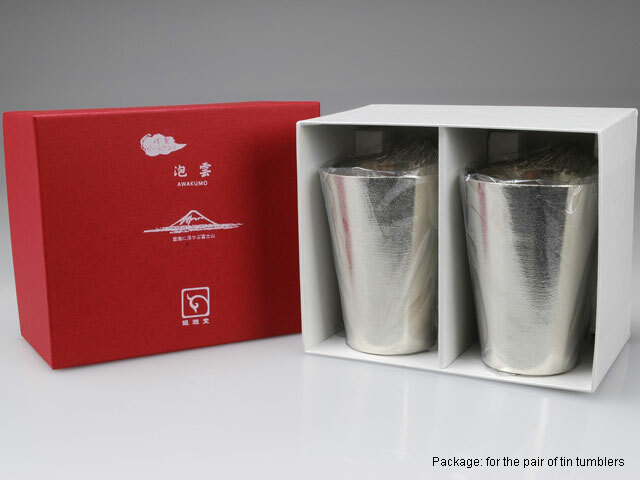 As it is amazing space saving size, the doll set would be good for a housewarming gift. Noh is a Japanese traditional musical drama that has been performed since the 14th century. 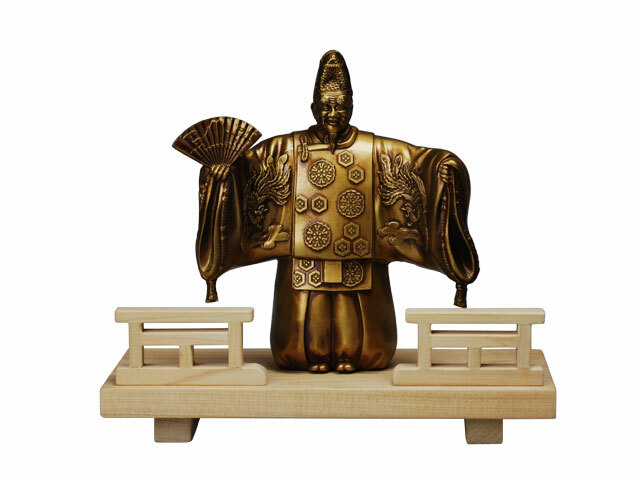 Okina (an old man) is one of the most well-known Noh plays. It is preformed mainly for the New Year, wishing for long life and happiness. Fukusuke is a Japanese lucky charm. Maneki Neko would be most well-known good luck charms in Japan and is often found at the entrance or in the counter area in shops. 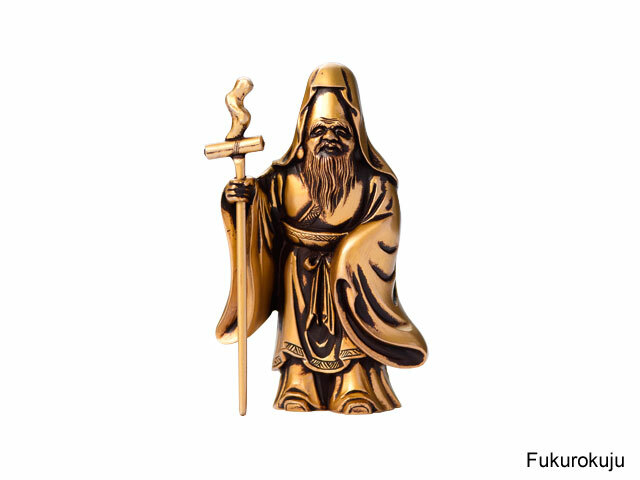 Fukusuke is also one of the Japanese traditional character. 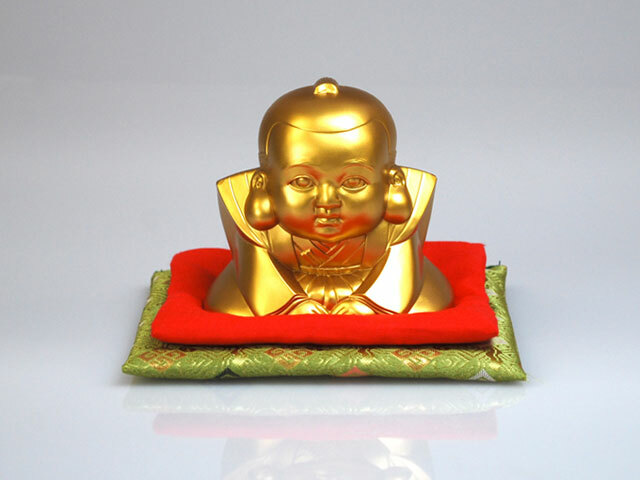 It is a small smiling man with a big head, and believed to increase fortune and bring good luck. The doll formally wears ceremonial Samural clothes, called "Kamishimo". You have never seen him before? Check out the album cover of "Sgt. Pepper's Lonely Hearts Club Band" by The Beatles! See! He is there with famous pepole. 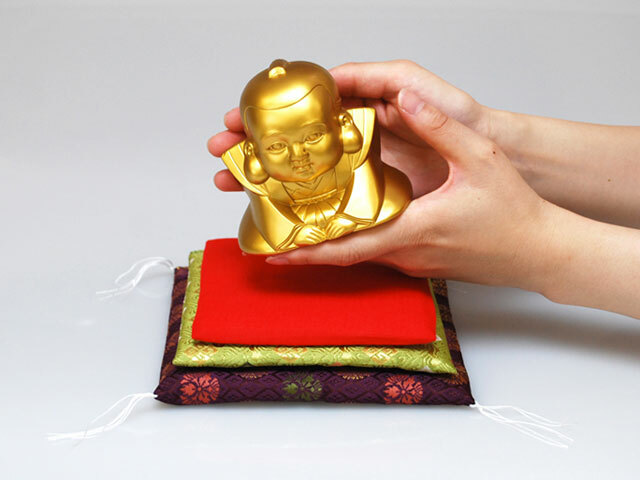 Our lucky doll "Dandan Fukusuke" comes with three colouful zabuton cushions. 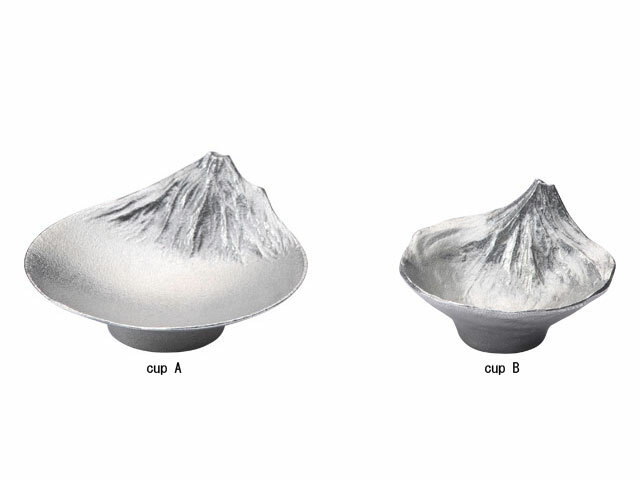 It is believed that the more a cushion is added, the more luck you would get.